STEP INTO THIS GORGEOUS TOWNHOME AND BE PREPARED TO FALL IN LOVE !!! Lovely and quiet enclave called Overlook conveniently located amid our beautiful Tampa Bay waters. Step into the front door to wide open and bright views straight through to the back screen porch and huge open deck overlooking a large pond. Sit outside and enjoy watching the wild life and the view. 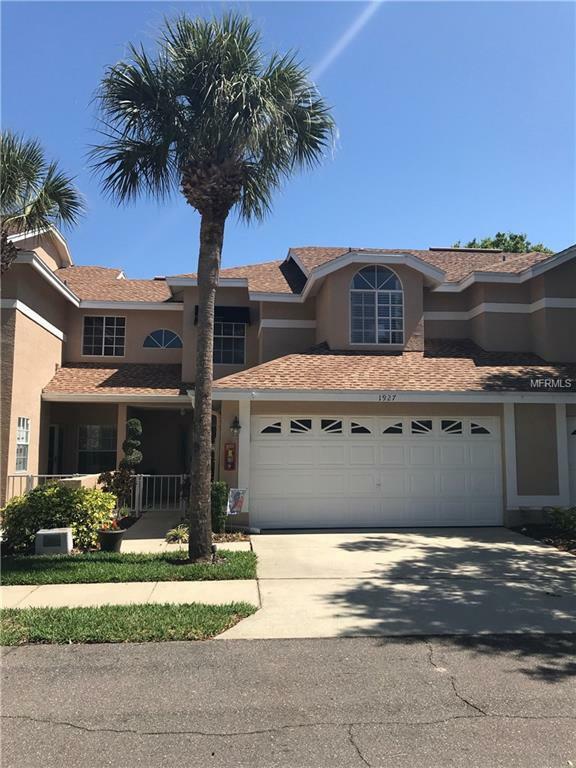 The first floor has soaring ceilings and impeccable rooms including a half bath, eat in kitchen with all new appliances, inside laundry room, formal dining room , living area with a fireplace and the master bedroom with huge master bath and soaker tub and separate shower/ dual sinks. Large walk in closets provide plenty of space. Upstairs has a huge loft that looks down to first floor and offers space for an office/den. Two large bedrooms, walk in closet and a full bath complete the top floor. Mature landscaping in a small community with a community pool on a lake provide for many out door activities. Make an appt to come see this beauty, you won't regret it!!! !